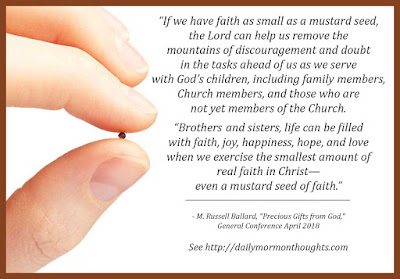 "If we have faith as small as a mustard seed, the Lord can help us remove the mountains of discouragement and doubt in the tasks ahead of us as we serve with God’s children, including family members, Church members, and those who are not yet members of the Church. 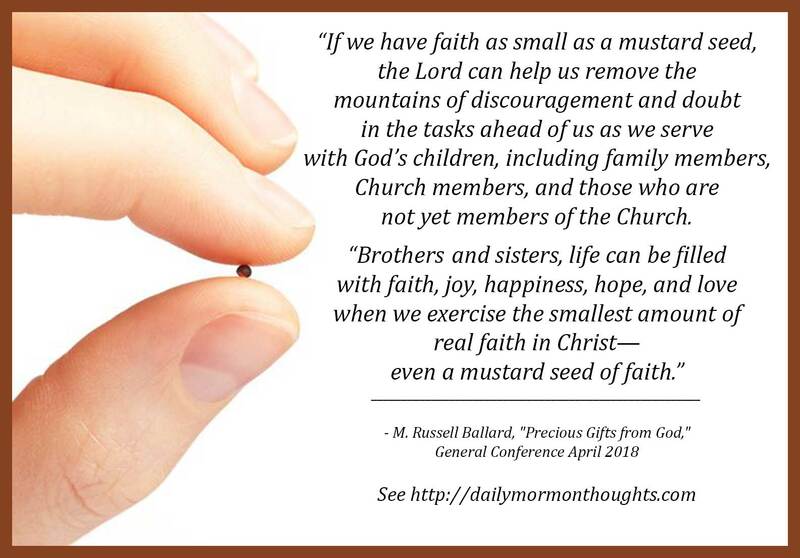 "Brothers and sisters, life can be filled with faith, joy, happiness, hope, and love when we exercise the smallest amount of real faith in Christ—even a mustard seed of faith." The key is not that faith makes the tasks easier or makes them go away; but that He can "remove the mountains of discouragement and doubt" that prevent us from serving well. That's a greater need, and a greater blessing, than we sometimes realize! The resulting promise of "faith, joy, happiness, hope, and love" that can fill our life is a remarkable one. 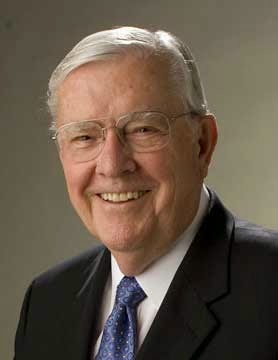 We would be wise to find, develop, and expand that kind of faith in our lives.